Two of the most popular mobile service providers in New Zealand, Spark and 2degrees compete on just about everything – from mobile and broadband subscribers, to customer satisfaction in our latest star ratings. Both providers offer monthly and prepay mobile plans, along with standalone mobile data subscriptions. We’ve lined up the two companies’ product ranges side by side so you can compare the two of them with ease. Spark’s range is much simpler than that of 2degrees, but also includes many more bonuses to keep you interested. Spark offers three prepaid Value Packs, all of which come with 1GB of extra data to use on social media each month, and another 1GB of Spark Wi-Fi zone access every day. If you’re after a prepaid plan, the distinction is fairly clear: 2degrees offers a far greater number of packs to choose from, making it your best option for low costs and versatility; Spark, on the other hand, seems to offer better value for money due to the bigger inclusions and numerous rewards. The contract plans from both providers follows a similar trend as their prepaid plans: 2degrees offers more options and flexibility, whilst Spark packs in plenty of value. Just like on its prepaid plans, 2degrees lets you carry over your unused credit for the next month –except in this case, it’s valid for an entire year. Each contract is on a monthly basis, meaning you’re free to change whenever you please, and you can pair it with one of several top handsets if you choose. On the top three plans, that handset can also be upgraded at a discount every 12 months if you pay an extra $10 per month (plus a small fee at the end), which makes it good value if you enjoy the best tech. 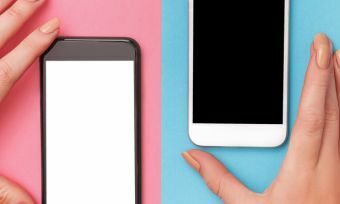 The mobile broadband offerings from both brands aren’t nearly as comprehensive, but still give you choice enough if you require reliable internet on the move. 2degrees offers two prepaid Data Plans with data that lasts for a whole year: a 1GB pack for $20.95 or a 3GB pack for $50.95. All plans come with benefits and discount items from the Spark Thanks rewards scheme, adding further value to your data purchase. Both providers sell their subscriptions with 4G connectivity, meaning you’ll get fast, reliable data speeds across the vast majority of New Zealand’s urban areas. Overall, both providers offer a comprehensive range of products in the prepaid, contract and mobile broadband segments. 2degrees tends to offer a greater number of plans and different options, but Spark counters this with better value credit inclusions and the addition of great bonuses such as entertainment subscriptions and rewards. Ultimately the choice is yours.